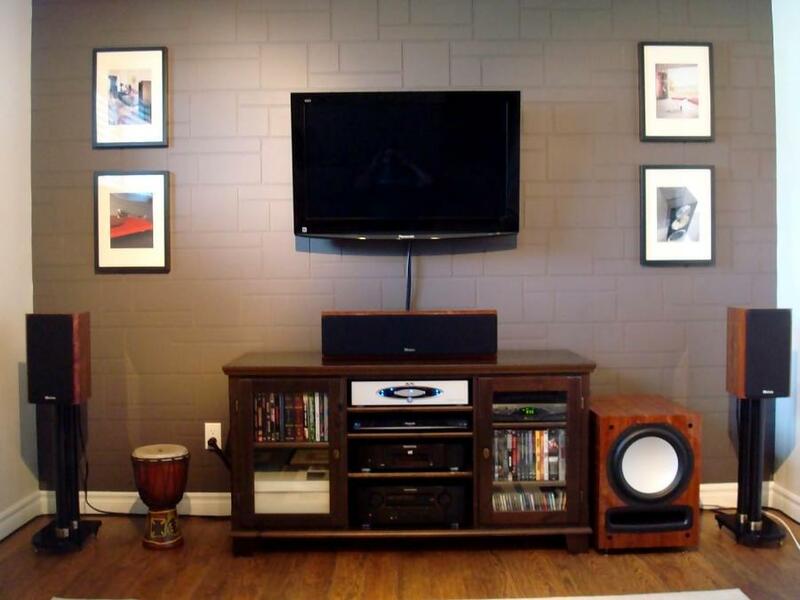 Choosing the best home theater speakers can seem overwhelming - with hundreds of speakers on the market, how do you get the right ones for your room? Number one is critical, and often overlooked: Consider room size first. There's a little math required here - you need to figure out the size by calculating the length x width x height to get the size of the room in cubic feet. (We've got a calculator on the next page to help you get the room size right!) A small bedroom or den (about 1000 cu. 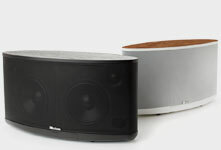 ft.) will be fine with smaller compact bookshelf speakers or in-wall speakers and a small subwoofer. An average-size living room (about 2,200 cu. 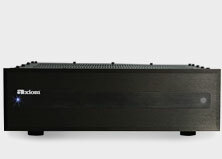 ft) will demand modest floorstanding main speakers and a larger subwoofer, or even good compact speakers will do the job, depending on your demands for peak loudness levels. 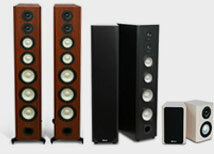 And big family rooms or great rooms will need larger floorstanding main speakers and at least one powerful subwoofer. Hey, there are two more tips you need to know! 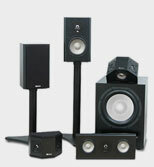 Continue reading The Best Home Theater Speakers here.